As an Administrator, you might run in to situations that requires you to Deploy UI customizations such as customized Ribbon, Quick toolbars, etc for Office applications on user Computers, or in my case Terminal servers. here is a quick and dirty guide on how to do this via group policy. For instance, lets say we have to deploy a button to initiate a 3rd party productivity program with in outlook and MS word. First off, make the necessary changes to outlook or word on a Client pc running MS office. 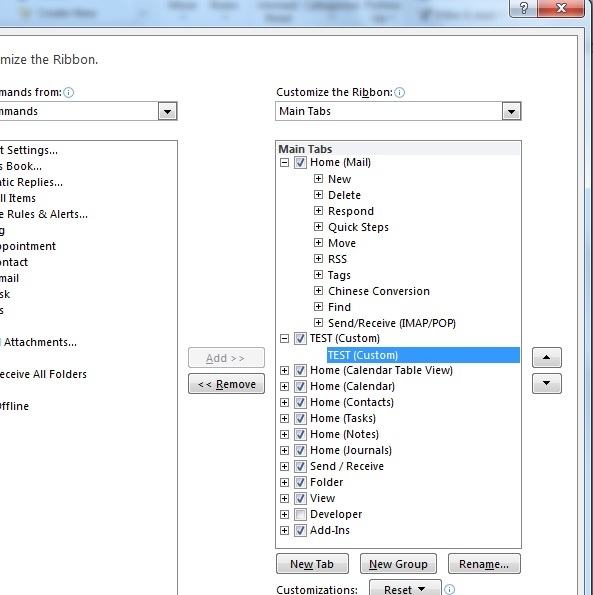 On the File tab, click Options, and then click Customize Ribbon to open the Ribbon customization dialog. On the File tab, click Options, and then click Quick Access Toolbar to open the Quick Access Toolbar customization dialog. 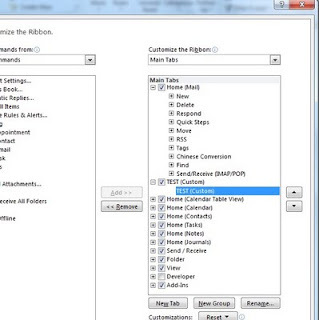 You can also export your Ribbon and Quick Access Toolbar customizations into a file. The file names will differ according to the office program and the portion of the Ribbon UI you customized. You can use these files and push it via Group policy using a simple start up script..
A basic script to copy .officeUI files from a network share into the user's local AppData directory, if no .officeUI file currently exists there. Can easily be modified to use the roaming AppData directory (replace %localappdata% with %appdata%) or to include additional ribbon customizations. Download and import the ADM templates to the Group policy object editor. hopefully, this will be help full to someone..